I never thought I’d find my passion and purpose when I started blogging 5 years ago on a free blogger account. Over the years, my blog has changed along with my season of life and so have the rules and best practices that come with running a successful blog. In my mission to turn my blog from hobby to professional, I have found excellent resources and learned valuable lessons along the way that I want to share with you. Whether you are a newbie or veteran blogger for hobby or for income, I hope you’ll find this page of blogging tips and tricks to take your blog to the next level helpful in your blogging journey. What is the next level of your blogging journey? What goals do you hope to achieve with your blog? What are your favorite blogging tips and tricks or resources? If you have a particular blogging question you’d like to ask or a topic you would like me to write about, feel free to ask in the comments. I’d love to help you be successful on your blogging journey, wherever that next level takes you! Note: This post contains affiliate links as indicated by an asterisk. Purchases from these links provides a small commission to me at no extra cost to you. I only include affiliate links for resources I’ve purchased, used or would use myself. Prices and deals listed are subject to change, check the affiliate’s website for current pricing. If you want to make an income from your blog, you need to own your domain name on a self-hosted blog. New Blog Hosting* is a small business domain registration & hosting company with excellent, prompt and personal customer service. I can contact the owner directly and receive prompt response and resolution. My Free Your Mind Blog Planner, is my first printable planner and product available for sale! You can see how it can help you transform your mind from frazzled to free! It’s only on sale for a limited time as a part of the Genius Blogger’s Toolkit* in October 2017. My FREE 2017 Blog Planner comes with 36 customizable worksheets to get your blogging tasks organized so you can achieve your blogging goals. 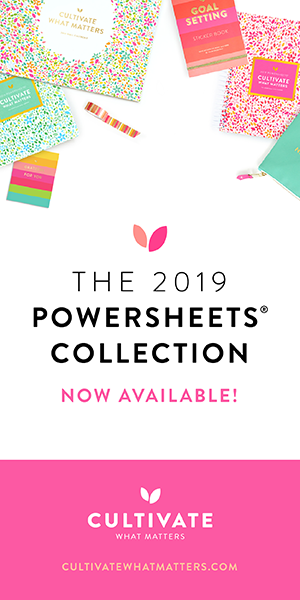 Download to Google Drive, Microsoft excel or print. I downloaded mine to Google Drive so I can update it on my phone or computer as needed. I used a my Plum Paper Planner in 2016 weekly format with checklists, blog planning section and lots of notes pages which was a great all in one solution for planning and bullet journaling. I used it for my blog’s strategic planning, weekly goals, checklists, bullet journaling and noting my stats and small victories for my blog. 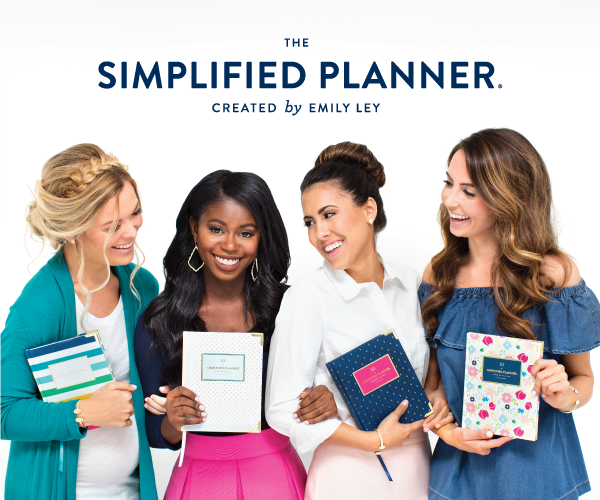 My Day Designer Planner* is the one to juggle the chaos of family, home and blogging. Everything I need to do or random ideas that come up during the day are in here. With a page per day, I love that there is enough space for all my randomness, I have not run out of room on a particular day yet. After reading Getting Things Done:The Art of Stress Free Productivity* by David Allen, I’m back to a weekly format for my planning and using the Passion Planner. I absolutely love it for keeping my passions for my home and blog front and center. 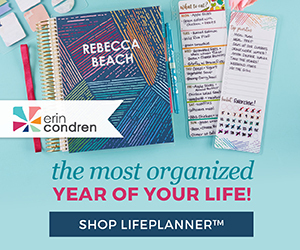 You can use my discount code TANYA10 and get 10% off your full-priced order at Passion Planner’s website. Check out my Instagram page or search the #pashfam or #passionplanner hashtags for inspiration. The first step in good blog design is to organize it so that your readers can find what they are looking for. I used the Blog Structure Blueprint (a FREE resource from Elite Blog Academy)* to figure out how to organize my categories and tags to optimize my reader’s experience on my site. Simple and straight forward, the Blog Structure Blueprint will help you on your way to designing a beautiful blog you can be proud of and your readers will enjoy visiting. I used Tweak me v. 2* – Who knew creating a site as unique as you are is so easy and affordable? Tweak Me v. 2 by NoseGraze is a robust theme that gives you the uniqueness of a custom blog design for a fraction of the price (currently $69). Super easy to customize without knowing a lick of CSS, you will want to check out the theme showcase* just to see how diverse and gorgeous this theme is! Deal alert! Sign up for NoseGraze’s mailing list for 10% off your purchase! Ingrid* – a floral theme, currently FREE! Ultimate Book Blogger Plugin* – also by NoseGraze, this plugin is a must if you blog about books to easily retrieve book info, format book reviews and create review indexes, currently $35. Jordan with J&J Social for brand design. I could not afford a custom design so Jordan created my ideal brand with patience, professionalism and at a very reasonable price. I have received many compliments on my branding from readers and more attention from brands and sponsors wanting to work with me. PicMonkey: crazy-awesome photo editing*– I prefer PicMonkey Royale over Canva for Work for ease of use. I can use my own fonts, save images and templates to the Hub to edit later which makes creating brand consistent images a piece of cake. Current price $33/year (vs. $119/year for Canva for Work) though both programs have a free version with limited capability. I like using unique photos that aren’t being overused. Many bloggers seem to know and use sites like Unsplash and Pixabay (don’t get me wrong, they have great photos), but when I realized just how many people used them, I knew I needed to find different sources for stock photos. Here are my favorites and some samples of using them in my blog post/social media images. Seaside Collection from Twigy Posts* are the images I purchased and use in my homepage grid. The coastal color scheme and vibe perfectly with the branding I had Jordan do. I LOVE all of Jana from Twigy Post’s work. This pack is reasonably priced (currently $35), included 40 images and I could edit them in Picmonkey since I don’t have Photoshop. I’m also trying out her Instagram photo subscription service so you’ll see some of her photos on my Instagram feed. She also sends free stock photos to her newsletter subscribers. picXclicX is an entire site of FREE stock photos. Jill’s collection has really grown and become more beautiful since I started using her photos a few years ago. Attribution is required or you can pay $5 for LIFETIME use of any of her photos. Since I used quite a few already, I went ahead and paid for the $5 so it came to less than $1 a photo. Haute Chocolate has gorgeous stock photos. I have not plunged the money down for a subscription ranging from $75/quarter to $225/year but Rachel offers a few free stock photos for subscribers monthly . I should have bought the subscription service during the Black Friday sale, maybe this year. I love that membership includes high resolution images, branding guides, social media quotes, and unlimited downloads! SC Stock Shop has a wonderful variety of stock photos and brand builder kits if you are looking for a new look. These are high resolution images and you can shop by color or collections. Prices vary from $69 for a single image to $274 for the larger brand builder kits. Be sure you read the specifications in each photo before purchase. Although some photo titles indicates a “collection”, the price could still be just for a single image. Shay offers stock photos free for subscribers so that’s what I use. Got Bloggers Block? Content Brew Can Help! Every single resource was simple, actionable and effective. I love Ruth’s down-to-earth style and her contagious “if I can do it, you can do it too” attitude. Even if you don’t buy the full Elite Blog Academy* course like I did, you will want to sign up for the waiting list so you can get notified of her fabulous free resources. An Honest Review of Elite Blog Academy: Is it REALLY Worth it? If You Give a Blogger Elite Blog Academy…You Never Know What Crazy Amazing Things will Happen! How I Grew My Traffic from Pinterest by 1,899%! I use PicMonkey Royale* to create my pinnable images. I can use my own fonts and save templates and images to the Hub to edit later which makes creating brand consistent images a piece of cake. Struggling to build a profitable blog while juggling home life? Beat the overwhelm, dream bigger, get focused and stay organized so you can achieve your dream blog. Plus subscribers also get access to my Exclusive Subscriber Library with even more free planners, printables and blog traffic and income reports to help you achieve your dream blog! I will continue to update this page for additional blogging articles I write and resources I find useful. Be sure to let me know what you would like to see and learn about in the comments. What are your favorite blogging tips and tricks and resources? Let’s share and help one another be successful in our blogging journeys!